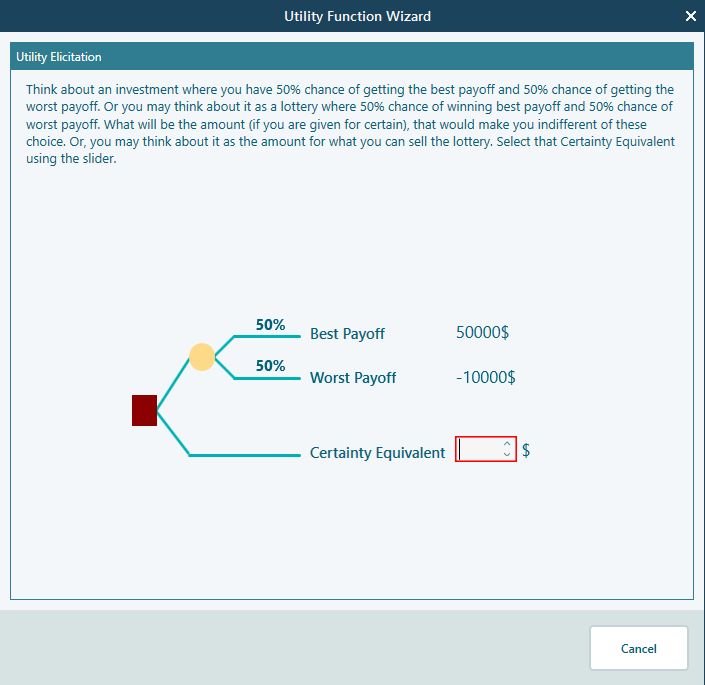 As mentioned in the chapter "Modeling Utility Function", if you are not sure about your utility function, Rational Will can offer you a game like a wizard to capture various certainty equivalent for various lotteries. 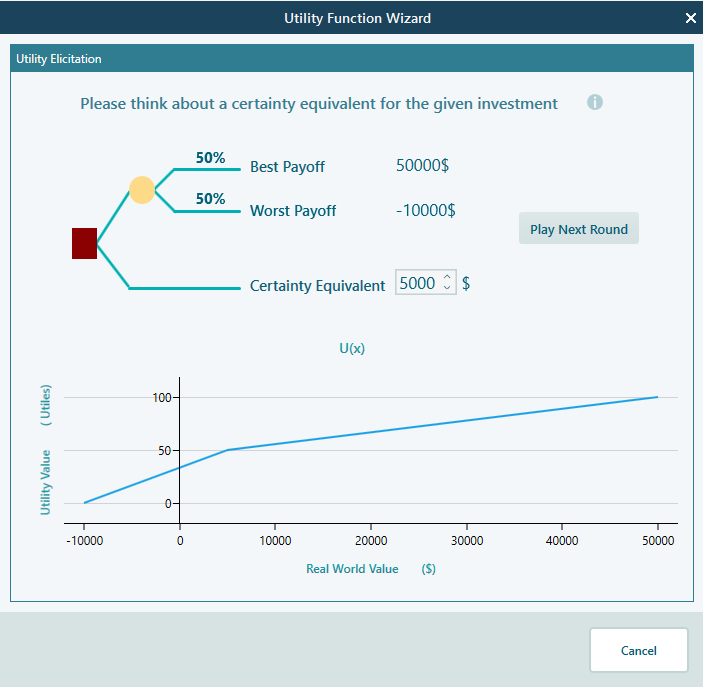 Based on that input, Rational Will can calculate the Utility Function for you. Say, you have created a decision model using a Decision Tree, where you have an objective "Maximize Profit" of Number type. You have an investment opportunity where there is a possibility of losing 10,000$ or gaining 50,000$. You should use a carefully defined utility function. Let's navigate to the Objectives Manager. You can navigate to the Objectives Manager from the Ribbon as shown below. Once you are in the objectives manager, select the objective name and right click to show the context menu. From the context menu, select the "Edit" button. You can also double-click on the Objective name to open up the Objective editor. Once the objective editor shows up, click this "Find my Utility Map" link. Once the Wizard starts, you will see the following screen. You may enter a value that you think you will take for certain and avoid the lottery. This is the value called Certainty Equivalent. Enter the Certainty Equivalent value here. Say, you would sell this lottery for 5,000$. Enter that value. Then you will see the following screen. Click the button "Play Next Round". 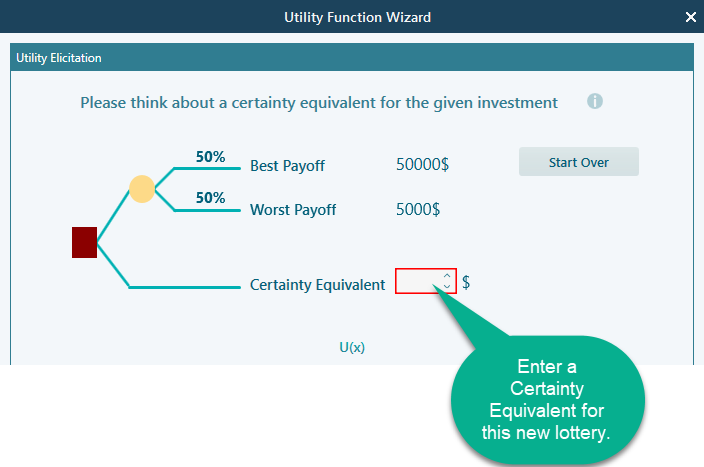 You will be asked to enter a certainty equivalent value for another lottery, as shown below. Say, you will sell this lottery for 15,000$. Enter the value here. 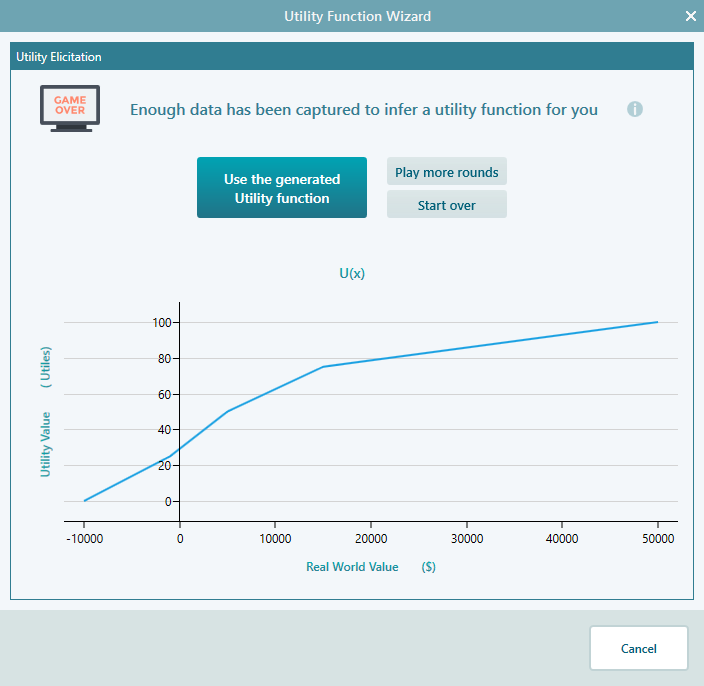 In that way, you can play a few more times and you will a utility value is generated as shown below. 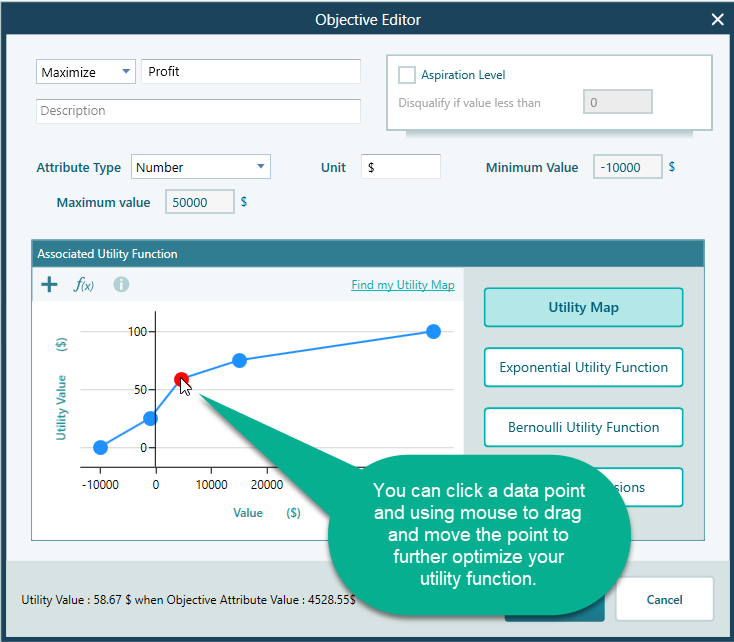 You can capture that generated utility function by clicking that button "Use the Generated Utility Function". You can play more rounds to fine tune the utility function, but it is enough to capture the function in this state. Once you click that button, you will see the generated utility function is transferred in the Utility function editor as shown below.